The distinct sound of gobbling turkeys in Oregon has generally grown silent the past 15 years. What was once a thriving agricultural industry left the state- a rarity among Oregon’s diverse list of commodities. While there are a few locally-grown birds sold to niche market consumers this year, most Oregonians will sit down to a Thanksgiving dinner featuring a turkey produced in California, Utah, or Minnesota. Hobbs was ODA’s communications director at a time when Oregon produced about 2.5 million turkeys. Now there are only a handful of small-scale producers who specialize in organic, pasture raised, or so-called “heritage” turkeys- birds produced through natural mating, not through artificial insemination as is the case with commercial turkeys. Many factors led to the demise of Oregon’s turkey industry in the early 1990s. But the bottom line is that it’s cheaper to grow turkeys in California, Utah, the Midwest, or in the southeast U.S. and ship them to Oregon for sale than it is to actually grow them locally. That wasn’t much of a problem prior to 1993, when Oregon still produced a few million turkeys. That’s a far cry from the present day turkey production of Minnesota (48 million), North Carolina (39 million), Arkansas (31 million), and even California (16 million). Still, Oregon had enough critical mass to sustain the turkey industry and offer consumers an Oregon-grown product. Then, a series of events eroded the industry. The Oregon Turkey Growers Association, a national marketing cooperative essentially representing Norbest, went through several managers at a time when continuity might have helped, according to Jim Hermes, poultry specialist with Oregon State University Extension. With several states using the Norbest label, Oregon growers had to settle for the national price on turkeys. Being far from feed sources gave growers in other states a competitive advantage. At about the same time, a batch of contaminated turkeys was shipped from Oregon to Utah- something that hit the news headlines at an inopportune time. For all intents and purposes, that was the final straw for Oregon’s turkey industry. Yamhill County, with about 85 percent of the state’s turkey production, shouldered the brunt of the loss. However, just as the entire state absorbed the loss of the entire turkey industry, Yamhill County was able to fill the vacuum through such successful commodities as nursery crops. Today’s consumers who prefer to buy a local product do have the option of purchasing from small scale producers. These customers reserve a bird in the spring by pre-ordering even before the turkey is raised. By the time holiday season rolls around, the turkey has been fully grown and slaughtered, and is ready for the dinner table. The return of a large scale turkey industry in Oregon is unlikely, according to Hermes. For Oregonians, there has been little impact from the loss of turkey production statewide. 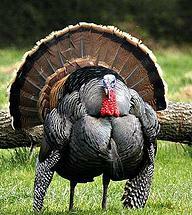 There is no shortage of turkeys available year around, let alone during Thanksgiving and Christmas. With the rare exception of those who prefer a fresh vs. a frozen turkey, shoppers don’t seem to care if the bird comes from California or North Carolina. Even when Oregon produced turkeys, most headed out-of-state. While Oregon never likes to see the loss of an industry, the demise of the state’s turkey production can serve as a valuable lesson. Oregon’s agricultural industry is more dynamic than most states. New commodities may crop up while older, smaller ones decline or even disappear. The state is strong enough to absorb the addition and subtraction.